it was another three day weekend, last weekend was the holiday monday for family day, and today is another short work week for me. somehow this short week went by way faster than last week. Adam and I both agreed this week absolutely flew by, which i guess is a good thing because the weekend is here quicker. we had a meeting last week to sign off on the paperwork for booking the church for the wedding! it was so surreal deciding on a time for the ceremony, and walking away knowing the exact time we’ll be married. we’re getting married on september 5th, which is the long weekend this year. it’s also my parents wedding anniversary. i remember always wanting a september wedding, and would tell my mom when i was younger that i wanted to be married on september fifth too, like her and my dad. when you’re younger you always want to do everything your parents do, and i decided early on that i would also get married on the same day. we only had a couple options for the day in terms of timing, either an early morning ceremony or an early afternoon ceremony. because of the time of the reception, we opted for the early afternoon ceremony. we walked out of the church meeting both relieved that we had it all confirmed, but also excited that it was all happening for real. we also had another meeting with the reception venue last night to discuss time. i cannot wait to begin creating the invitations now that i have all of the timing confirmed, though that has also been one of the toughest things to decide as well. there are just so many invitations out there. i decided to design them myself, since i can, and have them printed at a local printing press for much less than ordering it online. we may need to register for some new bake wear. somehow over the holidays both of our muffin tins have disappeared. completely gone. adam and i have both looked all over the place for the tins, and they have yet to appear. im not sure how both of the tins can disappear out of the house, but ive had to refrain from making muffins or cupcakes. 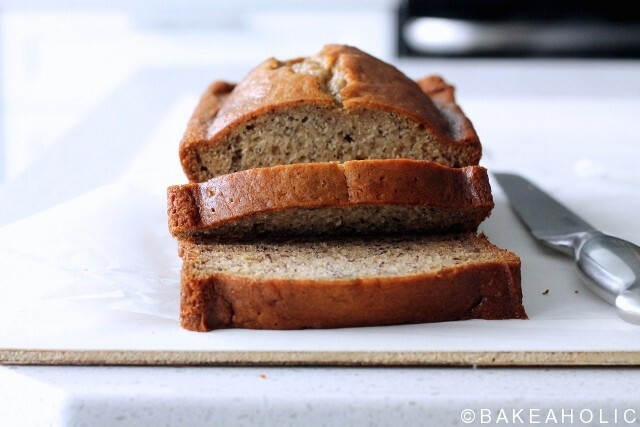 luckily banana bread is better as a loaf. 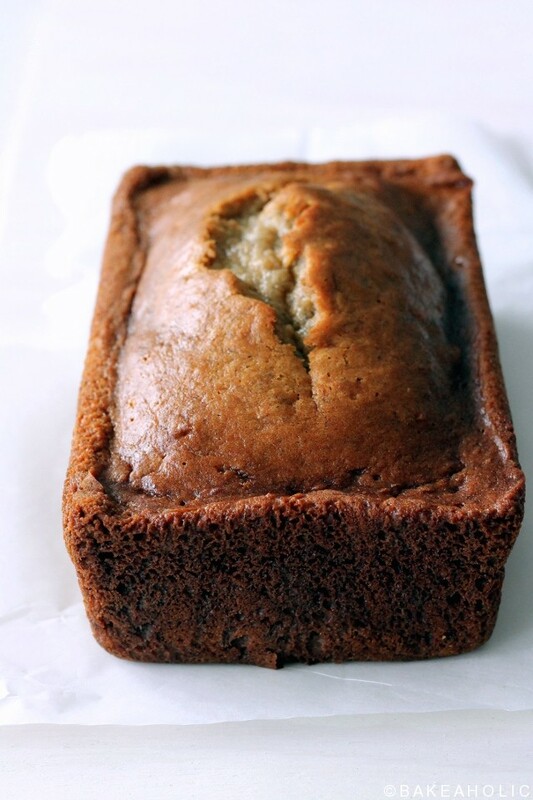 everyone should have a basic banana loaf recipe in their repertoire. adam is working at home again for the time being, no more long distance relationship, so ive resorted to batch baking and freezing portions for him to bring to work. 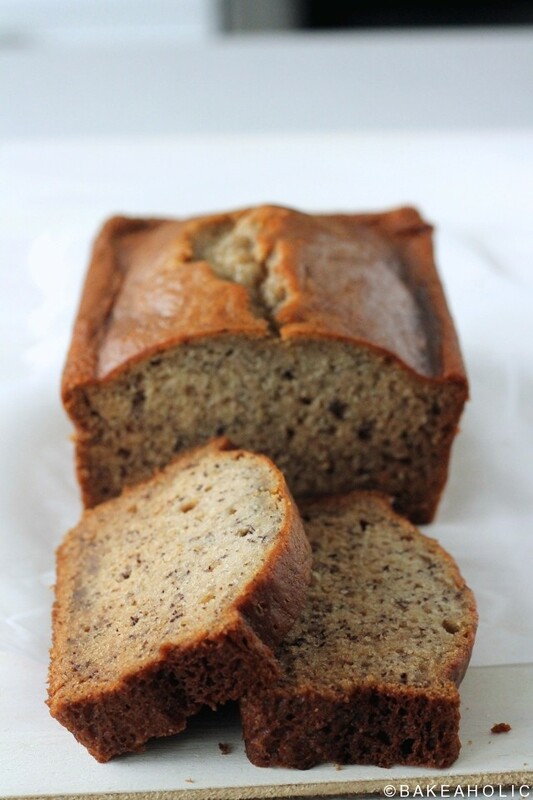 this banana bread is great for that, and disappears fast, a great way to use up those ripe bananas. 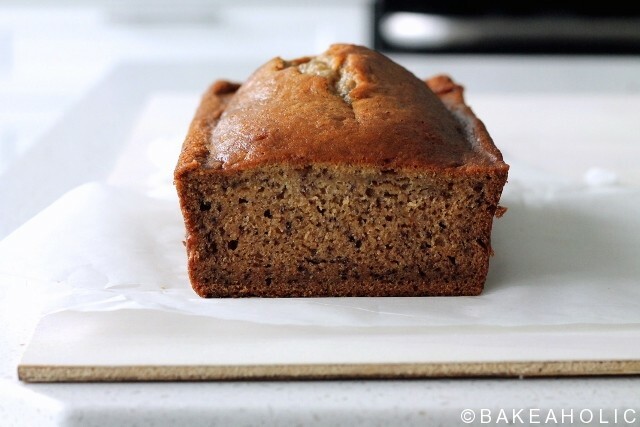 A basic recipe everyone should have - moist banana bread for breakfast or a snack. Add in the bananas and vanilla and blend until large lumps disappear. Turn off the oven, and prop open door. Leave the bread in the oven for an additional 10-15 minutes to make sure the inner loaf is thoroughly baked through. I like to make sure there is no mushy banana parts left.